According to recently-released research findings, next-generation blood-thinning drug Xarelto may pose additional risk to patients who are already suffering from kidney disease. The study, based on data taken from the Department of Defense electronic medical records system, found that those with existing kidney ailments were significantly more likely to experience dangerous internal bleeding while taking the drug than patients without such a condition. These findings raise safety concerns surrounding the blood thinner, which have already formed the basis of numerous Xarelto lawsuits pending in court. The authors of this study, presented at a meeting of the American Heart Association, examined medical data aggregated from over 44,000 patients, 6,921 of whom had previously been diagnosed with kidney disease. Of those individuals who also used the blood thinning drug Xarelto, 312 experienced significant internal bleeding events. The 36,891 patients within the study who did not have existing kidney disease and who also used Xarelto registered 981 such bleeding incidents. While the findings reveal a heightened risk of bleeding for kidney patients taking the drug as compared to those without renal problems, the bleeding events were not found to be linked to a higher rate of death as a result. It is also worth noting that patients suffering from both kidney disease and heart trouble demonstrated an even higher likelihood of a major bleeding event than patients with kidney disease alone. The potential dangers of Xarelto side effects has been the topic of research and litigation in recent months. 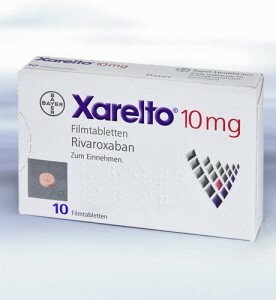 Brought to the American market in 2011, Xarelto (rivaroxoban) was touted as a breakthrough, next-generation anticoagulant medication designed for individuals at heightened risk of pulmonary embolism or deep vein thrombosis. The drug was hailed as being far superior to predecessor blood thinner warfarin, which had long been the standard option for large numbers of patients. 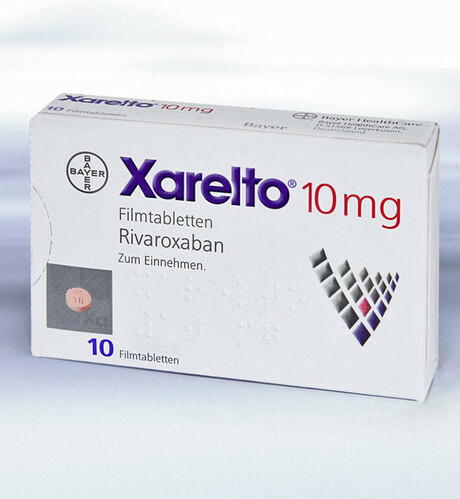 Xarelto was represented as being a more convenient choice in that it did not require the sort of ongoing medical monitoring necessary for patients taking warfarin. However, a primary drawback of Xarelto has always been the absence of an antidote that could reverse its blood-thinning effects in the event of a serious bleed. In contrast, the effects of warfarin have always been reversible in relatively short order with an appropriate dose of Vitamin K.
In December of 2014, all federal lawsuits relating to Xarelto related bleeding events and deaths were centralized into multidistrict litigation (MDL) in the Eastern District of Louisiana under the supervision of Judge Eldon Fallon. The purpose of this type of consolidation is to streamline pretrial proceedings, achieve judicial economy and facilitate consistency of evidentiary and other rulings prior to the commencement of trials. Plaintiffs in Xarelto lawsuits are alleging that drug makers Janssen and Bayer committed numerous acts of negligence in bringing the blood thinner to the American market, alleging defective manufacturing and design, failure to warn physicians and consumers of known risks, misrepresentation, fraud, breach of warranties and violation of consumer protection laws. Individuals harmed by Xarelto, including the families of those who suffered fatal bleeding events, are seeking significant financial damage awards as compensation for medical expenses, pain, suffering, emotional distress and other harm sustained.